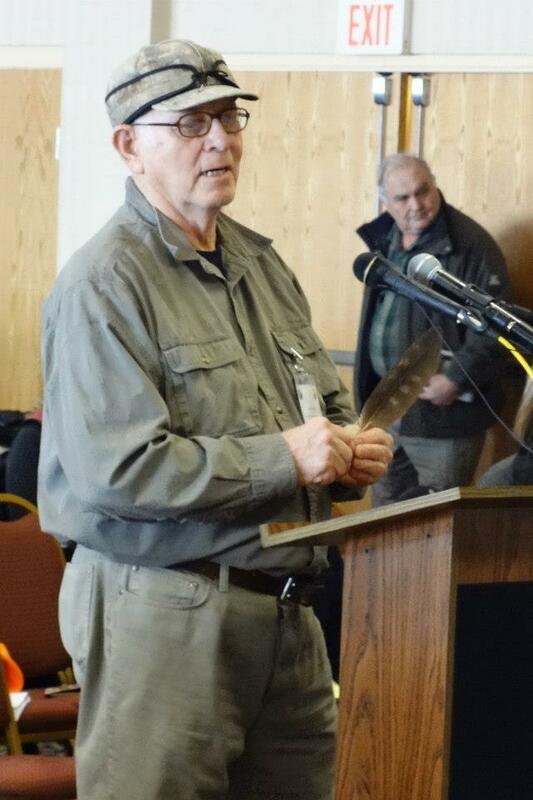 For the past four years, Joe Rose Sr. has represented Madeline Island on the Ashland County Board. Joe is an elder of the Bad River Band of Lake Superior Chippewa. He was a Director and Associate Professor of Native American Studies at Northland College where he taught for nearly forty years before retiring in 2007. He has proven to be someone we can trust to make sure the human, economic and natural resources of our entire county are protected. Many people may not realize that part of Madeline Island’s District 12 is also on the Bad River Indian Reservation just east of the City of Ashland on the mainland. The Tribe also controls about 195 acres on the north end of the island. So whoever represents District 12 must be able to represent two distinct cultures. On November 8, 2017, 14-year-old Bad River tribal member Jason Pero was tragically shot to death by an Ashland County sheriff’s deputy in front of his grandfather’s house on the reservation. Both Native and non-Native communities in Ashland County were shattered. In the aftermath, people began reaching out to each other to find ways to bridge the cultural differences of our two communities. Thus began a series of talking circles of Native and non-Native citizens coming together to find ways to move forward to heal our communities. But not just the trauma from Jason’s tragic death. At the January 23 meeting, after listening to 50 or more people speak their minds and hearts, the community agreed there is a need to find ways to once and for all heal this rift between the cultures and start moving towards truth and reconciliation. Aerial view of Moningwunakauning: Bog Lake and the Bad River reservation on the north end of Madeline Island. Moningwunakauning (“Home of the Golden Breasted Woodpecker” in Anishinabe) or Madeline Island is the traditional sacred center of the Anishinabe universe. At one point in history, the Island was a central gathering place for tribes from across Minnesota, Wisconsin, Michigan and Canada. White colonialists drove the Natives from Moningwunakauning by forcing them, by threat of death, to sign treaties to cede the land where they had been freely living for centuries over to the US government. Survivors were put on reservations and the US government took control of the land where they once roamed, including Madeline Island. 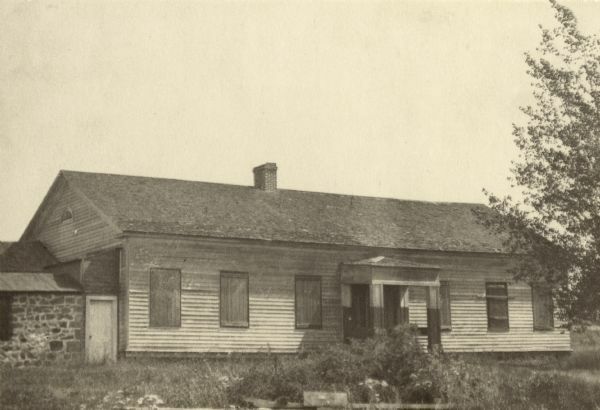 As a result of the treaties of 1837, 1842 and 1854, Madeline Island is in “ceded territory.” Written into those treaties were protections for the Anishinabe’s right to use a large area of northern Wisconsin, including Madeline Island, to hunt, fish and gather. The treaties were also supposed to provide for “education, health care and housing.” Instead the US Government removed hundreds of thousands of Native children from their homes and families and put them in boarding schools meant to strip them of their culture and assimilate them according to Euro-American standards. These schools caused trauma to generations of Native families. Years of genocide, boarding schools, stolen land, and institutional racism have created a condition known as “intergenerational trauma”: the transmission of historical oppression and its negative consequences across generations. The results today are high levels of drug addition, suicide, and other physical and mental health issue present on the reservations, perpetuating more trauma. According to data from the Centers for Disease Control, Natives are killed in police encounters at a higher rate than any other racial or ethnic group. Yet rarely do these cases reach the national spotlight, much less come to justice. It’s as if Natives are not even seen. Today, few Anishinabe live on Madeline Island. Bad River still retains 195 acres on the north end of the Island, and the tribes come to the island several times a year to celebrate traditions. 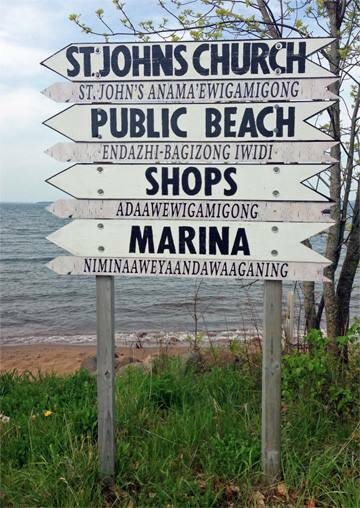 We have bi-lingual signage around town of both English and Anishinabe. But for the most part, Madeline Island is still being monopolized by the white culture. 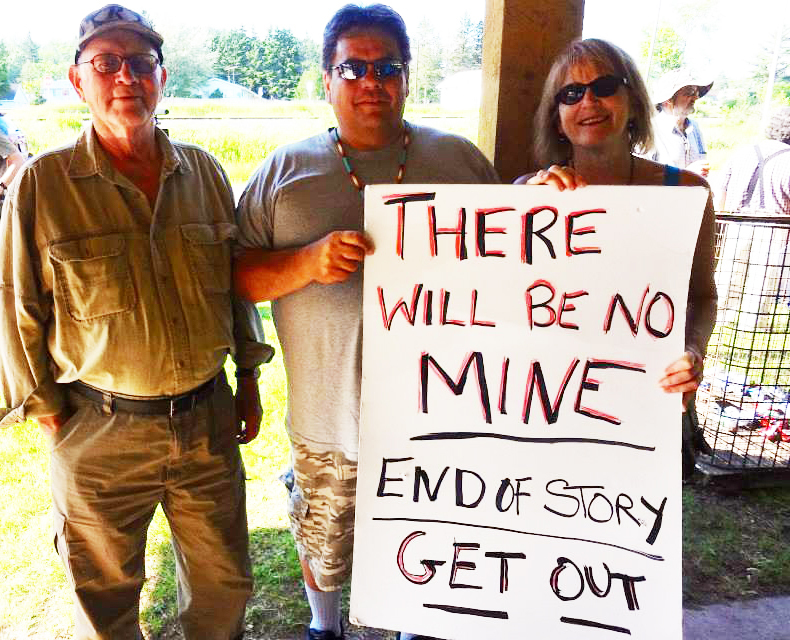 Bad River just ended a 50-year agreement it had with leaseholders at the end of the island. The transition is underway for the Tribe to take back control of their land. They have the complete support of the Town of La Pointe. We are building working relationships to help them return to Moningwunakauning. The Town and the Tribes are looking to work together on how to share community functions like road maintenance, emergency services, and law enforcement. Joe Rose Sr. understands all of these issues from both sides. He understands how non-Native government works and how to get things done on a County level; being an elder in the Tribe, he can represent them in a way that only a Tribal member can. For this next term, I am volunteering my time to be Joe’s liaison on Madeline Island. Once he is elected, I will be submitting his regular reports to the Gazette, and alerting people to when he is on the island. Joe will also visit some Town Board meetings to give reports and address any questions or concerns people have. We will let the community know well in advance of his visits via social media, posted signs, and getting him on the Town Board agenda. He is currently serving on the Land and Water Conservation Committee and has been working for over two years to pass local ordinances that protect us from the ravages of factory farming. These ordinances finally passed out of committee March 2 and will brought before the April and June County Board for passage. The Wisconsin legislature just dismantled the Mining Moratorium on sulfide mining, opening Ashland County to the dangers of copper, gold, and other sulfide mines, which would mean disaster for our world-class waterways. Joe has been on the Zoning Committee working to write amendments to our current mining ordinances for local protections from sulfides in order to protect our economy, environment, and way of life from these threats. To address the tragic death of Jason Pero and the opioid crisis going right now, Joe is proposing a Community Summit Meeting for later this summer with everyone involved in and responsible for mental and physical health of our community—health services, social services, law enforcement, school counselors, Tribal councils, and town, city, and county boards—to have conversations directly with the community to find solutions to address these issues together. 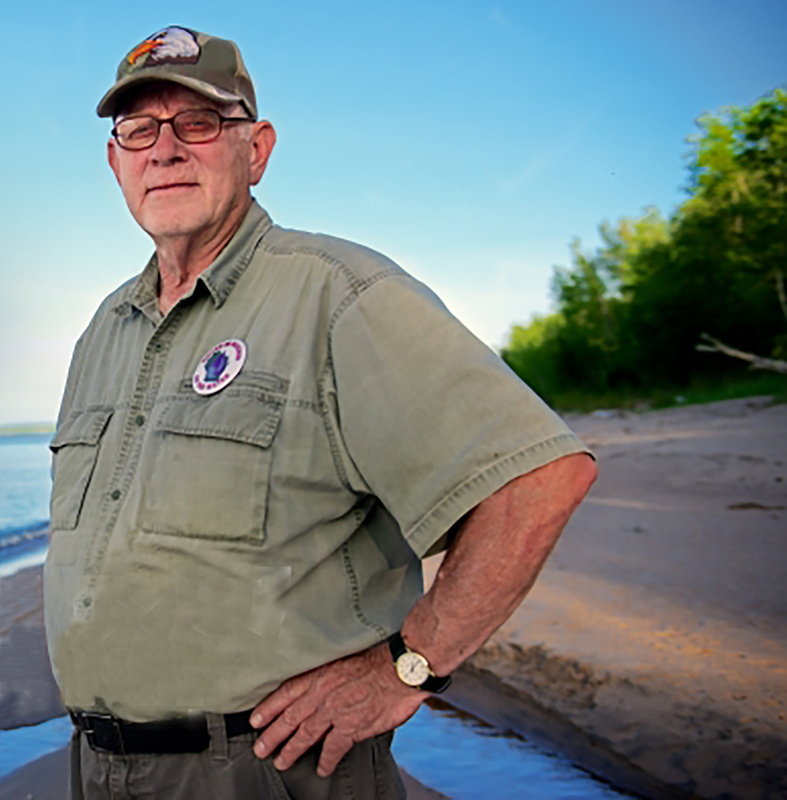 Joe is also actively involved with the Great Lakes Indian Fish and Wildlife Commission (GLIFWC) education programs for young people. GLIFWC and the Tribes have partnered to create opportunities to get kids get off drugs and involved the living world. Joe brings the children to Madeline Island throughout the summer, and this winter Bad River held Winter Camp, which included indoor and outdoor activities like snow snake and lacrosse games, dog sled rides, moccasin games and moccasin making. Other Tribes are also replicating this model. The Bad River Tribe has asked for a federal investigation into the killing of Jason Pero. Ashland County Board is not commenting on this situation at this time, but Joe plans to get them involved in the Summit. He also suggests that citizens understand that the County Board has authority over the Ashland County Sheriff. Citizens can go to the County Board and demand that, as the Sheriff’s supervisor, they take some kind of action to address the heartbreaking killing of one of our youth at the hands of law enforcement. Please vote for Joe Rose Sr. on April 3 for District 12 County Supervisor. Help all the constituents of District 12 be wholly represented by a tireless public servant working for the good of the whole district.